Over time, your battery may begin holding less of a charge. 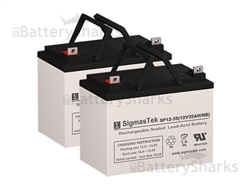 SLA batteries can be restored and have their lives extended in multiple ways. It’s always a good idea to increase the life of an SLA battery, not only to save money but also for environmental reasons. You may not realize this, but you can actually charge a battery after you’ve already charged it. Charge your battery fully and then wait one or two days, and then charge the battery again. You’ll get a more thorough charge and you’ll ultimately extend the life of your battery, and you can repeat this multiple times. You should perform this additional charging at least once every six months and any time you notice that your battery is not holding as much of a charge as it used to. Before you set aside your battery, you should charge it – this is especially true if the battery will not be used for some time. Many people make the mistake of charging their battery when drained, but this is not a good idea. It’s always ideal not to let your battery discharge all the way. 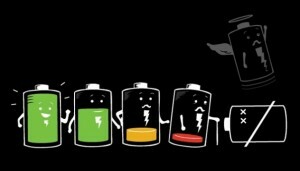 Running out of a charge completely is bad for the battery and could lead to premature degradation. As much as possible, your battery should be charged on a regular basis and up to the maximum capacity. The more time your battery spends not at maximum capacity, the shorter its life will be. If you find that you often need to discharge your battery fully, you should instead switch to a battery that has a larger capacity. Cooler environments are always better for batteries. When your battery runs hot, it will often reduce the usable life of the battery. Try your best to keep your battery’s temperature regulated, either by using cooling devices or keeping it out of hot environments. 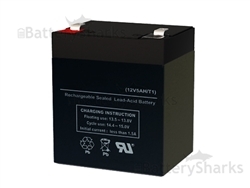 By using the above tips, you should be able to significantly extend the life of your SLA battery. As long as you remember to keep your battery as charged as possible and to avoid discharging it too often, you should be able to get a long life out of your battery without significant work. Is it bad for an SLA battery to be left in a car when the temperature is below freezing? The standard storage temperature for SLA batteries is -4F to 104F. However we would not recommend you to leave the battery at freezing temperature as this would shorten its “life”. For a battery to operate at its full capacity we would recommend storage temperature of 77F. Can I use a float charger to maintain the charge in an SLA battery when it is not being used? 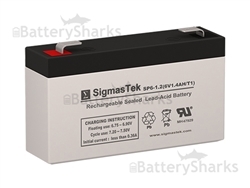 Most SLA batteries usually start loosing charge every 4-5months. With that being said, it would be best to charge it every 2-3months. You can use a float charger to keep at 100% and it won’t overcharge, but it is not recommended to keep it constantly on charge. Let me know if you have any inquiries. I keep a small electronic charger on 24/7 on an sla. This is for backup radio communications. The battery seems to last 4 to 5 years this way.Just my experience with sla battery. Thanks, I’ve just been searching for information about this topic for ages and yours is the greatest I’ve discovered till now. I was looking through some of your posts on this site and I believe this website is very instructive! Retain posting . Thanks for the information. My last set for my tracked wheelchair lasted 2 years. Now it still charges to 13.68 volts but it only last about 30 minutes and it needs charged again. Can they be brought back to lasting a long time again? I keep a small charger on my chair and charge it before it starts to get low, when I’m not hunting. If you have any suggestions I will appreciate it. Thanks again for information on this email.